Hardcopies represent one of the premiere collecting areas within the pre-production niche. Each piece is hand cast using a silicone mold taken off the original wax sculpting. Hardcopies exist in two forms: painted and unpainted. Complete painted hardcopies, although sometimes more desirable, dwarf complete unpainted hardcopies in terms of existing volume in collections, mainly due to isolated batches of painted hardcopies surfacing on the market in recent years. 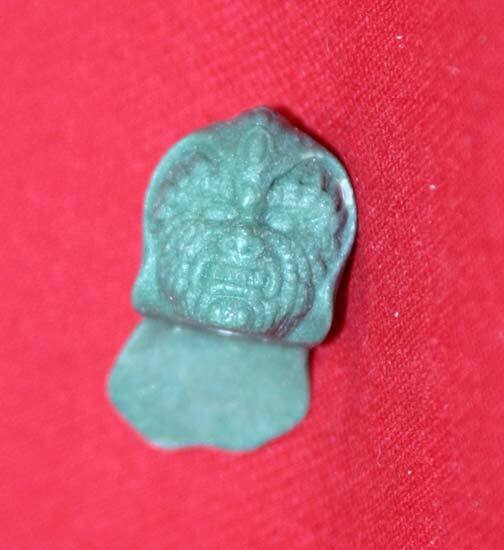 Unpainted hardcopy parts, like this Klaatu (Skiff Outfit) head, allow collectors to obtain an example of the hardcopy stage at a more affordable level. Additionally, hardcopy parts allow a collector to have multiple characters in a collection, something that isn't always feasible with complete hardcopies. Unpainted torsos and heads tend to fetch more than limbs, since they represent the two most recognizable portions of any action figure.